Oklahoma Republican Senator Jim Inhofe has his own plan in how to fund border wall and solve the problem for President Donald Trump. The 1,954-mile border with Mexico traverses a variety of terrains, including urban areas and deserts, not all of which may require a wall. Senator Inhofe’s “Wall Act” would provide a way to close up some of the loopholes that allow our border processes to be abused. On Thursday, Senator Jim Inhofe (R-OK) announced legislation that would fund President Trump’s long-promised southern border wall. The aptly-named “WALL Act” would allegedly offset the estimated $25 billion cost of the southern border wall by reducing government assistance to illegal immigrants. 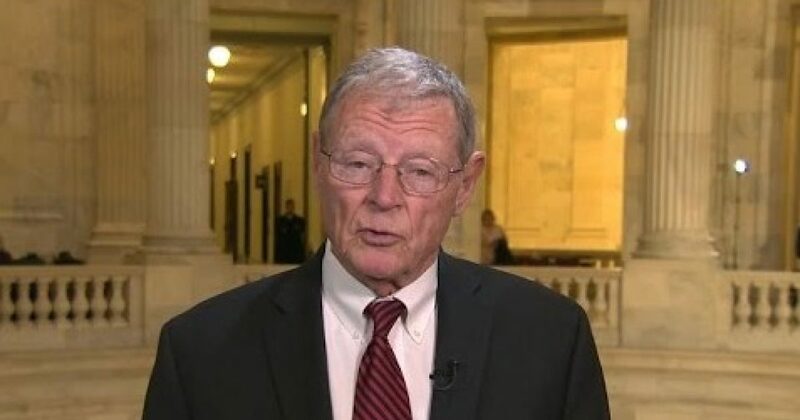 According to a press release accompanying Inhofe’s announcement, with the way the system currently works, “only the child needs a SSN, not the parent benefiting from the refundable child tax credit.” His proposed legislation would require any adult seeking an EITC or Child Tax Credit to provide their own “work-eligible Social Security Number” (SSN). This act will “will fully fund the President’s $25 billion border wall while providing specific ways to pay for it.” Read on and decide what you think of these measures. The Democrats will hate them, guaranteed. Second, any individuals applying for various welfare programs would not only have to provide a “work-authorized” Social Security Number, but would be checked against the E-Verify database. Third, the legislation would ramp up “minimum fines on illegal border….